HYDROPONIC PLANTS - WHAT TO GROW? Start with vegetables you and your family love. It might be fun to grow 40 radishes, but if y'all don't like them, why waste the space? (Note: give radishes a try before you rule them out. Fresh from the garden to your salad tastes delightfully different). If you start out with just one small unit, make the space count! If your family enjoys salads, then stick mostly to salad vegetables at first--- lettuce, tomatoes, radishes, celery, and tuck a cuke plant in the corner. Give priority to vegetables that taste the best fresh-picked and the worst from the supermarket. You'll enjoy much better flavor in your home-grown lettuces, tomatoes (especially), celery, spring onions and herbs. Don't waste space on potatoes or turnips, as they are pretty standard in taste; you won't see a big difference in home-grown. Root veggies are also harder to grow in a hydroponic pot, as they need a lot of depth. (Later on, do try your hand at short variety gourmet carrots for a real taste treat). Fresh herbs are awesome! We have a special section for you Herb Freaks. Once you have a little experience under your belt, and have the room for it, by all means try your hand at vining crops. Read all about training and pruning vines here. The most ideal hydroponic plants do NOT include: corn, zucchini, summer squash, melons. Sure they can be grown in a hydroponic garden, but they are space hogs, and just not practical. They will take over your whole unit. Your resources are better spent on crops more suited to the compact systems. Think small for now--- bush or patio strains of beans, tomatoes and cucumbers. If you later get into a greenhouse, you'll have the room to train all those beautiful vining crops all the way to the ceiling (no lights to stay under). You could experiment with any crops under the sun, even corn if you'd like. Check out our free e-zine offer below! After that, more great information on choosing hydroponic plants and systems. Our mission is to bring you the most important, interesting, fresh and creative information on the modern gardening method known as... hydroponics! We invite you to join our growing village of hydroponic gardening enthusiasts by subscribing to our free monthly offering, The Urban Farmer. Visitor submitted project photos; successes and failures! Keeping you on the cutting edge of hydroponics. It keeps your crop plan realistic, manageable, and highly productive. The first warm days of spring hit, and you get garden fever. Off you go to the local nursery or home improvement center on a sunny Saturday afternoon. Yikes! Everybody else has spring fever, too. 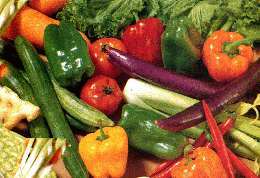 You fight over the choicest vegetable seedlings (baby plants), and snag a flat each of tomatoes, peppers, eggplants, cucumbers, and squash. Then you pass the seed rack and all those beautiful seed packets get you pumped up. In your cart goes several of them, too. Don't forget the heavy bags of manure, peat moss, sand and fertilizer! You get it all home. Out comes the tiller (if you're lucky). Otherwise, the rake, shovel and hoe. After a day or two of back-breaking work, everything is planted. A little droopy, mind you, but the plot looks beautiful. Ah, the aroma of fresh tilled earth! Now, here's the problem. Did you really need that many plants? Are you really going to use 10 tomatoes, 12 cukes, and 10 peppers a day? Not! 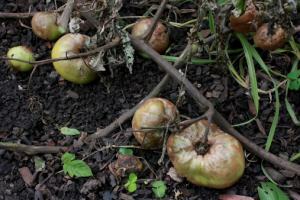 You leave the excess fruit on the plants, not wanting to be wasteful. What does that do? Stops production of more produce. You find worms in the corn and potatoes, and the tomatoes start splitting on the vine. You get tired of all that horrible weeding, and throw in the towel. Soon, your beautiful soil-based vegetable garden has turned into a huge weed and bug infested plot, littered with rotted tomatoes and cucumber carcasses. Now, with hydroponics... since productive space is at a premium, you're forced to think carefully about how much to plant of what. How about just one tomato plant, one cuke, one or two peppers, lots of lettuces, spinach and onions? 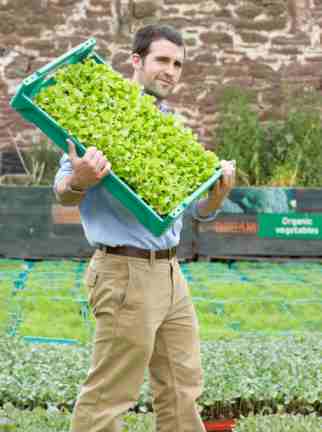 No weeds, no bugs, no excess produce. You will find that with a hydroponic garden, you will plant a wider variety, fewer plants of each crop, and you will utilize it all. 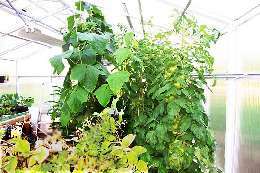 Hydroponic plants are much more practical and less wasteful. What a difference hydroponics will make in your gardening experience! You'll just love it. Later, we will go into more detail on the individual hydroponic plants varieties, and which ones work best with which units. Check out our Plants & Produce section for that! Wondering if you can plant tomatoes in January? When to grow hydroponic vegetables answers that question nicely. And there's some very useful information on climate requirements here. Okay, so you now have an idea of the types of hydroponic plants you want and when to plant them. But which hydroponics method is best suited to your needs? We provide an introduction to the 4 best and simplest systems to get you started: But Which Unit?